About: Launched in 2012, PiggyBank offers short term and installment loans of £100 and up to £1,000 for a term of 7 days to 5 months. They offer loans of up to £1,000 only if you borrow for 5 months. For a term of 7 days, you could borrow £100 to £400 ; for a term of 2 months, up to £500 ; for a term of 3 months, up to £600 ; 4 months, up to £800 ; and 5 months up to £1,000. However, as a new client, you can borrow up to £500. The cost of borrowing is pretty much standard nowadays: £100 for 30 days will cost you £124. The application process is 100% online, accessible via any computer or a mobile device. Subject to credit and affordability checks - you do not need a perfect credit history to be eligible - you will know whether you are accepted very quickly. If your application is successful, the money should be with you within an hour. You can repay your loan earlier online at anytime via your account. There are no penalties nor additional fees for paying your loan early. For example, if you borrow £350 for 30 dasy and pay back 10 days before the term, you could save £28. To be eligible, you need to be a UK citizen, be at least 18 years old, be employed (work at least 16 hours a week), own a bank account. Also, you won't be eligible if you had a CCJ in the past 12 months, have declared bankrupt or are on a debt management plan. Reviews on Feefo show are 88% positive out of from around 200 reviews. 73.1% gave PiggyBank an 'excellent' rating. 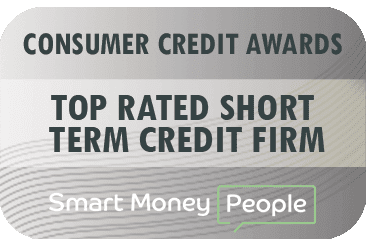 The company was also rated as one of the top rated brands in the best short term loan provider category in the consumer credit awards.